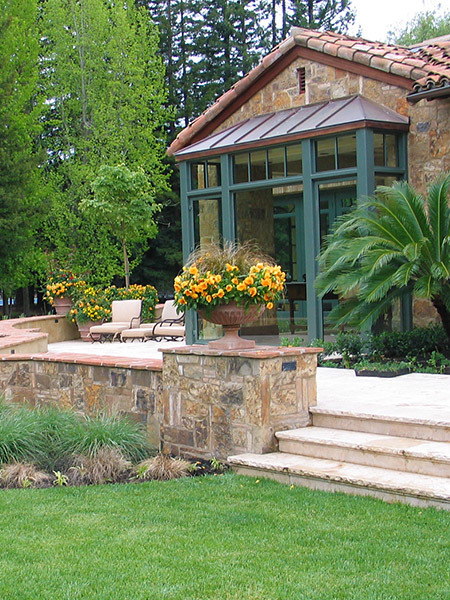 Fox specializes in all services related to multi-acre estate landscape environments. If it’s outside of your home, chances are we’ve tackled something similar in our 35 years on the job, but we always remain ready to take on new challenges. It is our deep experience and technical expertise coupled with a healthy dose of creativity that ensure every project is marked with the personality and indivduality you are looking for. Fox specializes in the planning and design of residential estate landscape development. We are experienced in both new construction and garden renovations. Whether it’s conducting your new landscape design through our in-house design team or working with an independent landscape designer/architect, we will help guide you through the entire design process. We specialize in large total exterior development, and we are fully equipped to carry out any landscape construction project. Fox owns and operates a fleet of equipment including tractors, loaders, excavators, tillers, compaction equipment, dump trucks and more. grading – rough & finish, off-haul & disposal, compaction, trenching, etc. decorative metal fencing, gates, arbors, etc. 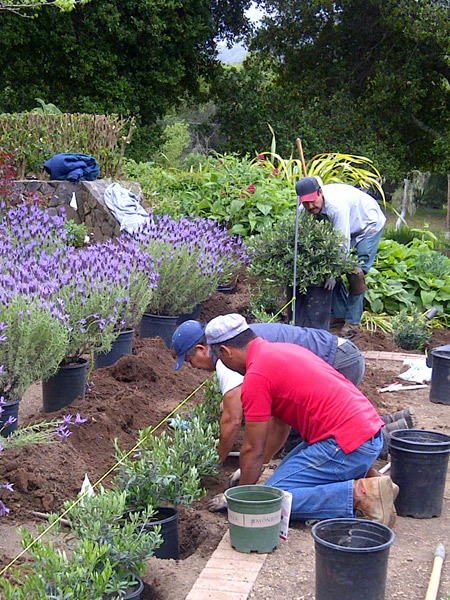 Our award winning Landscape Maintenance Division specializes in fine gardening for estates in Woodside, Atherton, Los Altos Hills, Portola Valley, Hillsborough and Palo Alto. With over 35 years of experience, we’ve pretty much done it all! Led by Maintenance Supervisor, John Velez, our crews are well trained, detail oriented and fully insured. 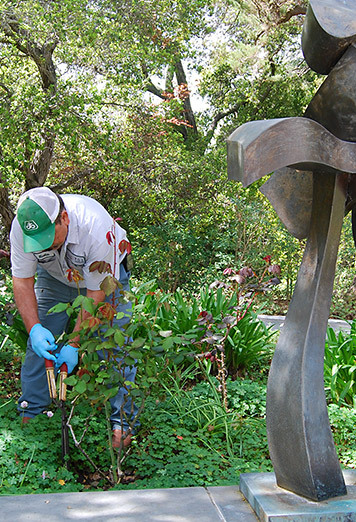 We retain a Licensed Landscape Pest Control Applicator in addition to a seasonal annual/ornamental planting specialist. As a licensed General Contractor, “Fox Building” can manage your total property renovation or home remodel. We can provide a turnkey solution for all your landscape & property needs thereby minimizing the discomfort and cost associated with multi-trade construction project. 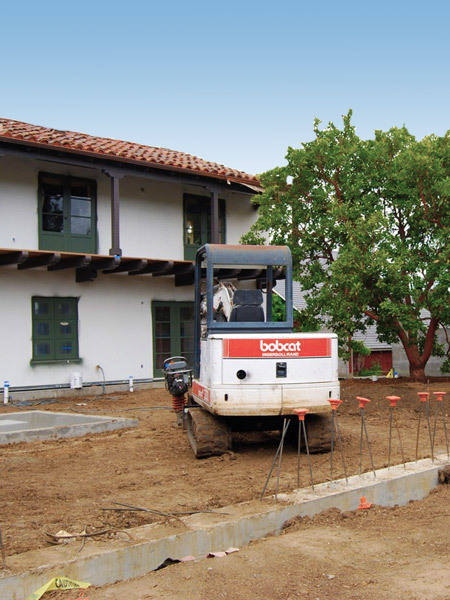 Whether it’s replacing a driveway, building a new pool house, demolition, solar panel addition, or an exterior/interior remodel, Fox Building is fully capable of managing your construction needs. Brian Henry is in charge of all renovations and new construction and can be contacted with any questions. The “Small Project Division” was developed to handle a variety of smaller projects such as garden renovations or hardscape repairs that usually do not require the involvement of a Landscape Architect. Typical requests include advice on ways to freshen up or modernize a garden, replace container planting, or enhance a portion of an existing garden. With our dedicated in house design team and crew we offer the same top quality service, attention and results that we deliver for any Fox project. We can work with you through every phase of landscape construction – from architecture and design, construction, and continuing on to maintenance – or just a single service such as planning, renovation or new construction. Fox has an extensive network of skilled contractors that have been vetted through the many years on the job in the Bay Area. This means we can serve as the overall project foreman and main point of contact throughout a project minimizing your need to manage multiple firms or contractors. We do our utmost to handle all aspects of any job so you can be taking care of your business, out riding your horse, or traveling with complete peace of mind. Fox Landscape put in our gardens and does all the maintenance. They are fantastic! I highly recommend them. We are having a party and we turned the landscape lights on and it looks great! Thanks! I absolutely love my landscaping!!! We have really been enjoying our back yard and getting many many compliments on our front yard!